Last weekend, Jordan and I decided to take a spontaneous trip to Arizona. We drove through Sedona to see the gorgeous red sandstone formations, visited his brother in Flagstaff, and spent the day exploring the Grand Canyon. Arizona is truly gorgeous, with so many beautiful places to see and visit, and if you can stand the heat, there are some amazing outdoor reading spots. This was my second time visiting the Grand Canyon. My last trip was when I was seven or eight, so my memory is hazy at best. As soon as I got there, I was overwhelmed. I couldn't help but be reminded of April Ludgate from Parks and Recreation when she and Andy visit the Grand Canyon. Looking out, she comments: "I'm trying to find a way to be annoyed, but I'm coming up empty." There really is nothing else like it in the entire world. Of course, I had to bring some of my current reads with me, which were perfect when we traveled to some of the less visited view points. They were quieter and less crowded but still just as beautiful. I brought my Anne books with me as part of the #summerwithanne challenge on Instagram, and I have a feeling this view would have left her breathless and completely in awe. We were there, bright-eyed and bushy-tailed. Have you ever been to the Grand Canyon? Where are you favorite places to read and/or write? 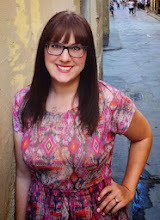 Interview with Stacy King and Giveaway!